I recently spent a few weeks in Europe and was fortunate to be able to spend some of this time expanding my food knowledge and cooking in kitchens abroad. 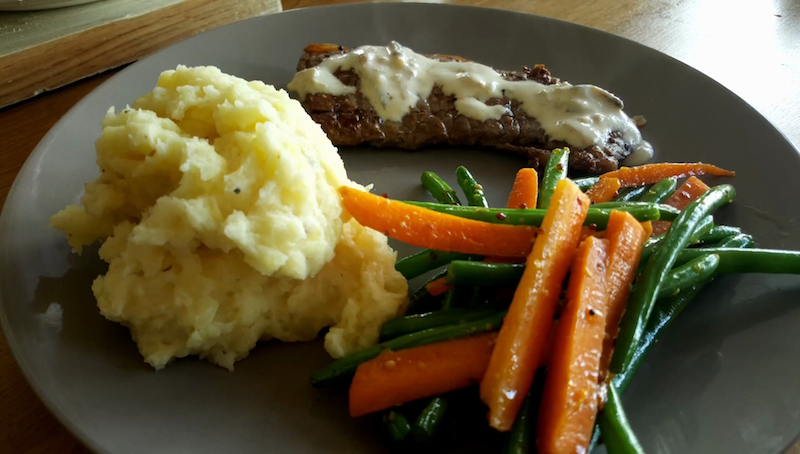 Here is a version of a my basic steak recipe, made with mash & veg with a mushroom cream sauce. Easy to make wherever you are. Best enjoyed with red wine!